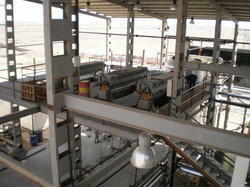 Our Company is instrumental in offering Clay Treatment Process to our valuable customers. This process is highly demanded in refining and recycling of various used lubricating oil due to its low cost of polishing. This process is widely used in different small investment plants as it produces reasonable characteristic colour and oxidation stability of the final distilled oils.